Hazardous waste must be disposed of in an appropriate hazardous waste storage container to protect workers, the environment and your business from getting fined. Proper disposal requires you to understand which materials are toxic, what they do, the types of containers needed for storing the material and the type of personal protective equipment (PPE) that must be used. Here are some essential points to remember about determining how to handle industrial waste. The reason it's important to understand different types of hazardous waste materials is that the use of dangerous chemicals often require an RCRA permit for treatment, storage and disposal. Permits, which are determined by states, are usually not required for non-hazardous items such as textiles and rubber that are recycled. Certain owners are also exempt from getting a permit depending on how their operation is run. Enclosed treatment facilities, for example, are not required to have an RCRA permit. Treatment that involves combustion, however, usually does require the permit. Waste must be characterized before it is placed in container. This step involves analyzing the material to determine what its toxicity level is and whether or not it is compatible with other materials, including the container itself. 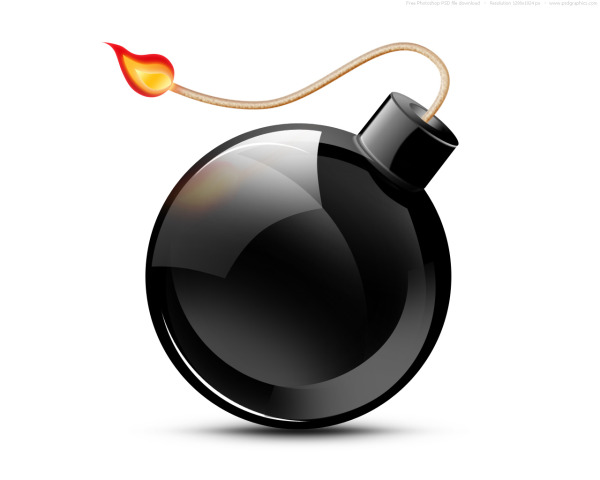 Get this wrong, and you could have a bomb in your warehouse just waiting to go off! The first consideration for the type of waste container to use is the amount of waste being generated. The size of the container need only be slightly bigger than the amount of waste produced unless you need to store PPE, which would require a container about twice the size of the waste. After the container size is determined, you can then focus on what the container is made of. It's important to keep in mind that incompatible wastes may not be placed in the same container in most cases unless certain requirements are met. A supervisor must usually approve of mixing any materials or wastes in the same container. The reason the container itself must be compatible with the waste it stores is to avoid damage such as leakage. Chemistry knowledge is required since chemical reactions can occur when certain hazardous materials are mixed together. Some chemical reactions, for example, can start fires or explosions. Other materials can get corroded and eat through a container. That's why the waste material must first be identified and analyzed by a hazardous waste generator before it is placed in storage, as described in the manual on container management published by the Environmental Protection Agency (EPA). A material safety data sheet (MSDS) can help indicate how materials react and whether or not they post any risk of fire or explosion. Manufacturers are required in many countries to include this information with the product so that employers can pass the warnings onto workers who handle the materials. In the United States MSDS was replaced with safety data sheets (SDS) in 2013. SDS provides data on chemicals, how they are to be mixed together and potential hazards to workers and the environment. 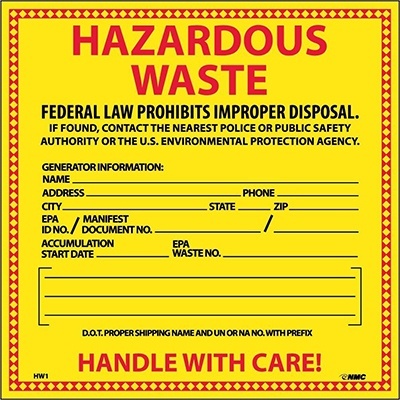 All containers that store harmful materials must be marked with the words "hazardous waste" with the date that the material entered the unit. The Department of Transportation has additional requirements for such containers that are shipped offsite. You should pay attention to the markings on a container that indicate if it has been used for storing flammable, oxidized, poisonous or corrosive material, advises the EPA. Workers should also verify with managers that the containers have correct hazardous waste labels after studying safety data sheets. If you need help or a refresher on the specific guidelines and regulations concerning hazardous waste storage containers, then reach out to a qualified hazardous waste transporation company and get some expert advise.